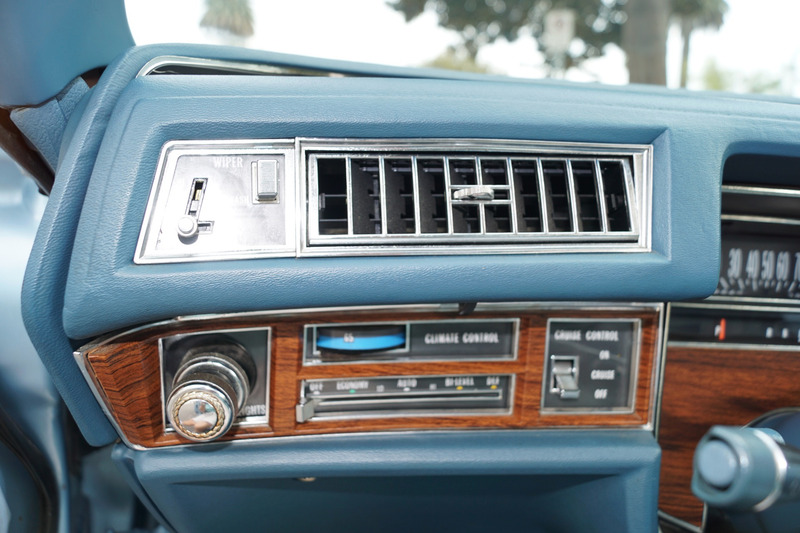 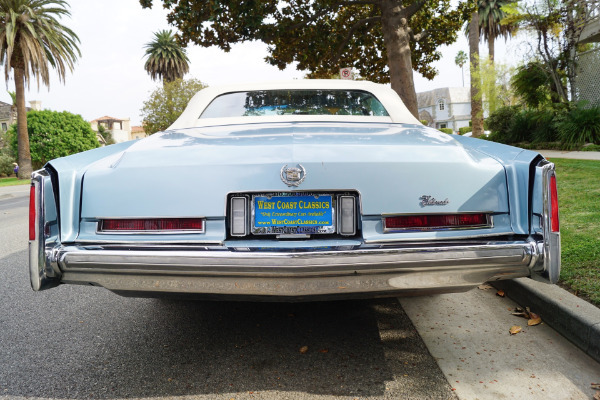 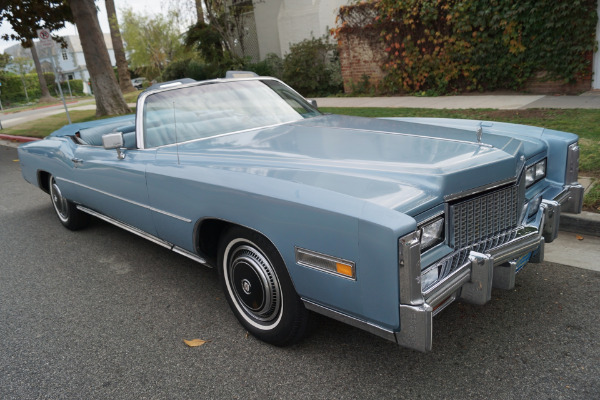 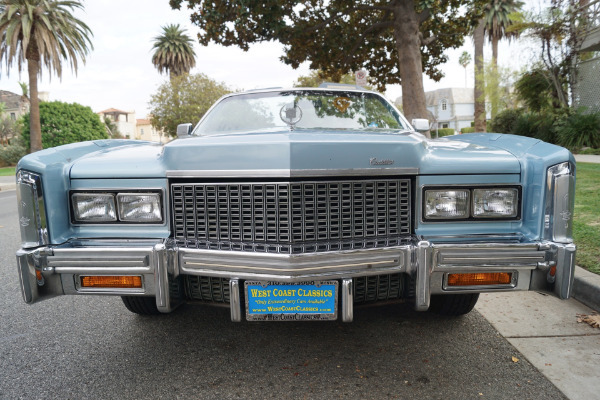 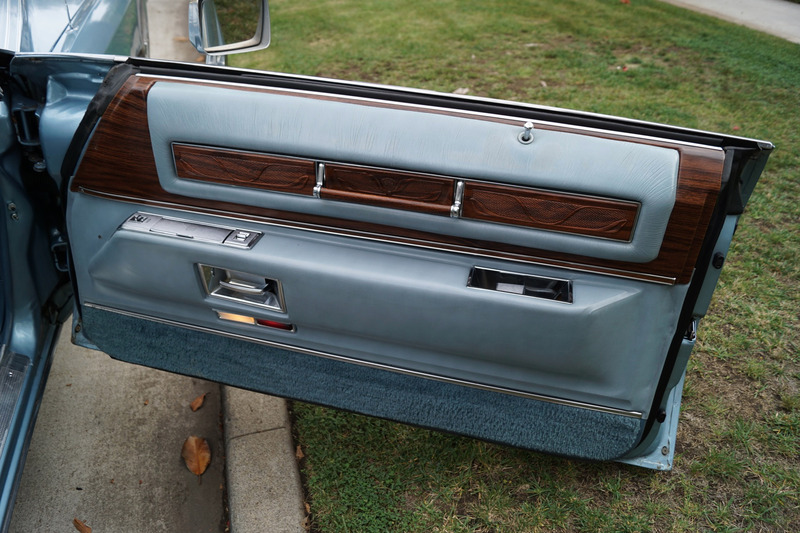 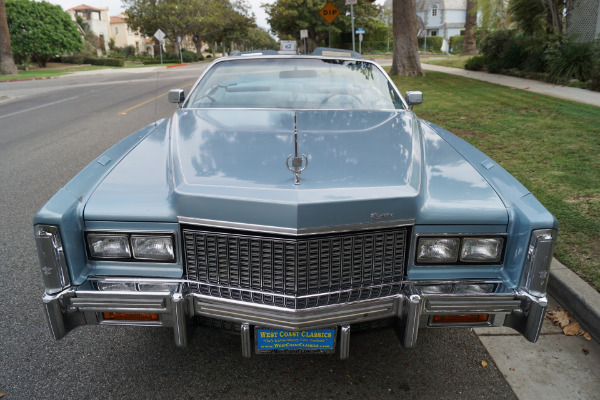 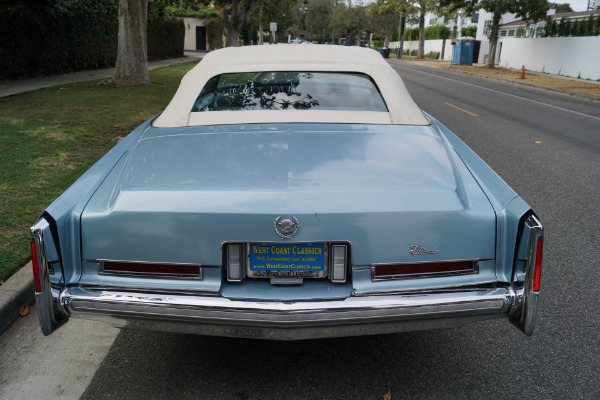 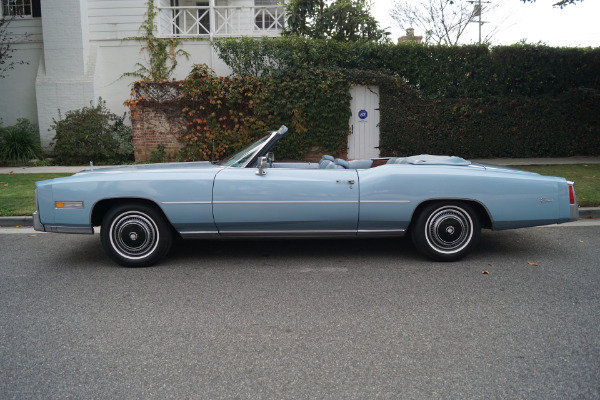 West Coast Classics are proud to present an absolutely exceptional seemingly all original and completely rust free example of this 1976 Cadillac Eldorado Convertible with all it's original factory specifications including it's original 500 c.i. 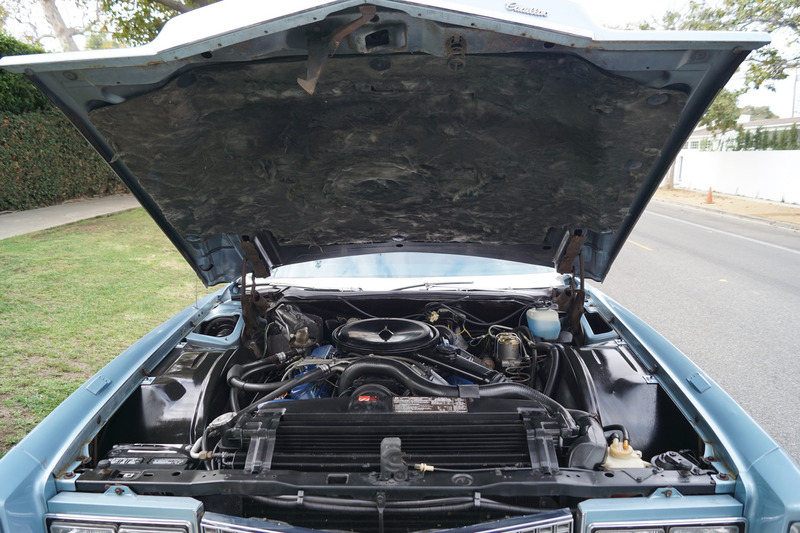 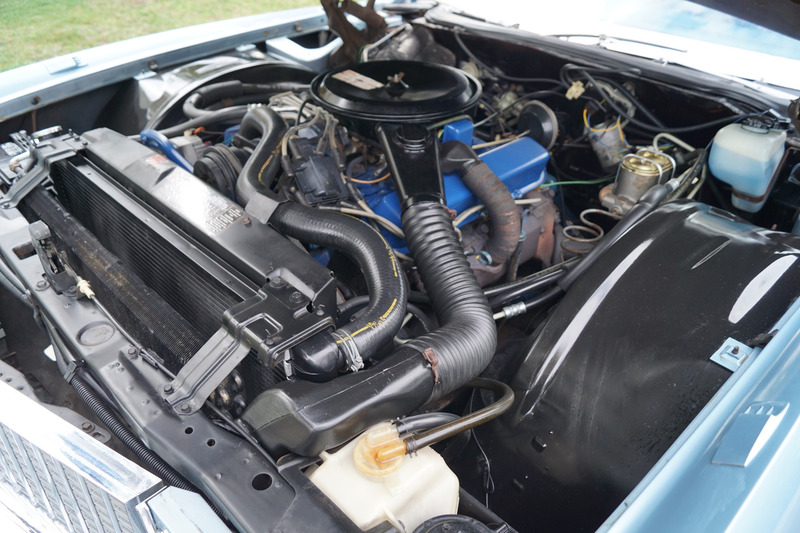 V8 engine with a stated and obvious but undocumented 46K original actual miles, the original owner's manual, original selling dealer warranty and original factory options including power soft top, automatic climate control, soft ray glass, steel belted radial white wall tires, power door locks, leather upholstery, 6 way driver power seat adjuster, high energy ignition, digital clock, auto level control, automatic transmission, power steering, power windows, dual power brakes, 4 wheel disc brakes and factory installed options including tilt and telescope steering wheel, remote control trunk lock, carpeted floor mats, twilight sentinel, rear window defogger, cruise control, illuminated vanity mirror, illuminated entry system, automatic door locks and its original AM/FM radio with a power antenna! 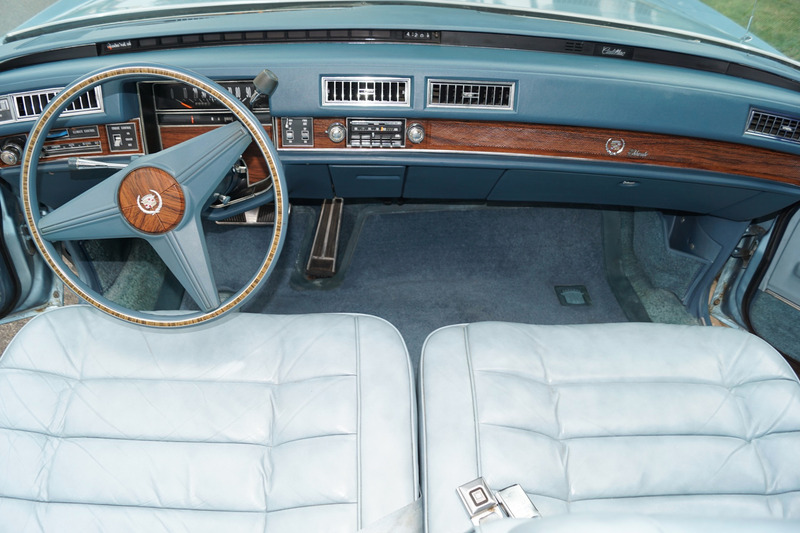 This particular example has obviously always been pampered since new. 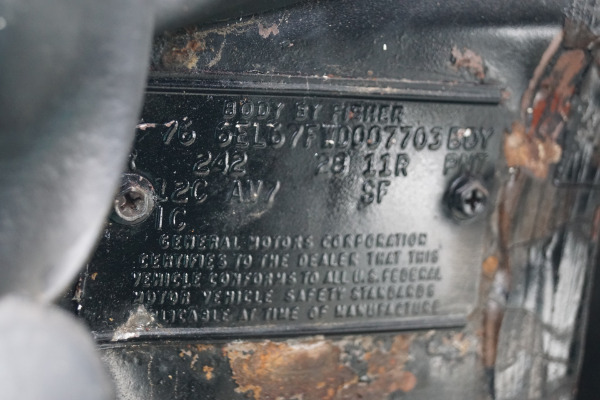 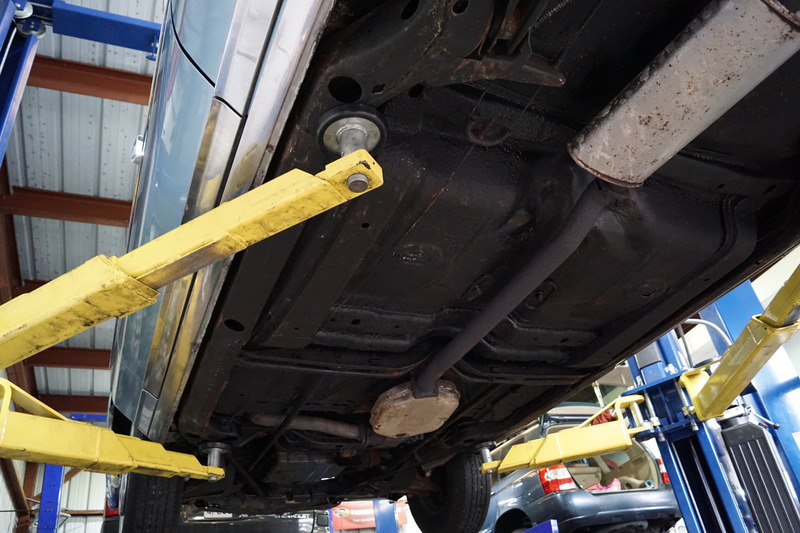 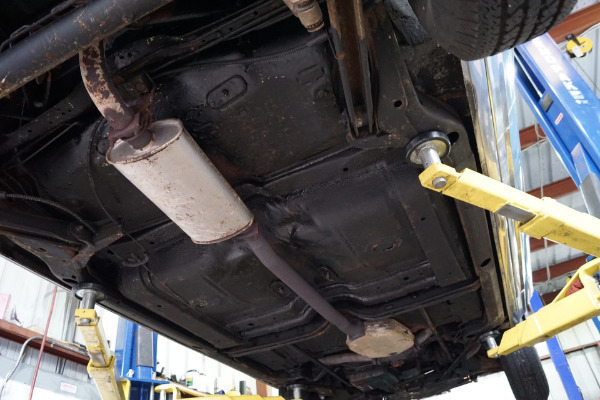 Obviously an always garaged car without any rust whatsoever! 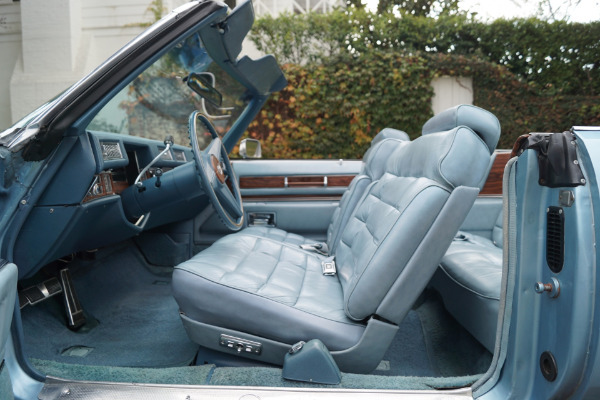 The whole car is completely rust and accident free - the car is very striking in its original factory 'Innsbruck Blue' color paint with only very minor imperfections in this seemingly all original paint, such as a minor scratch or two here and there. 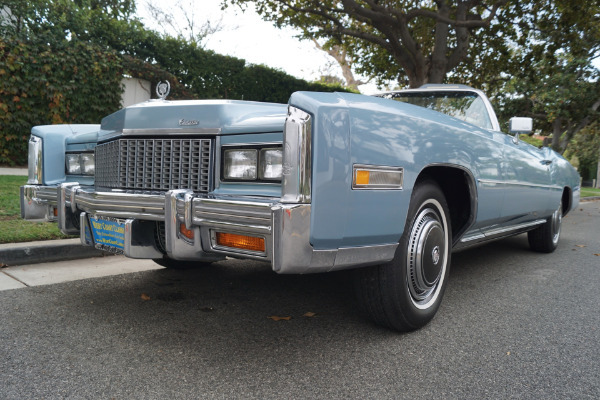 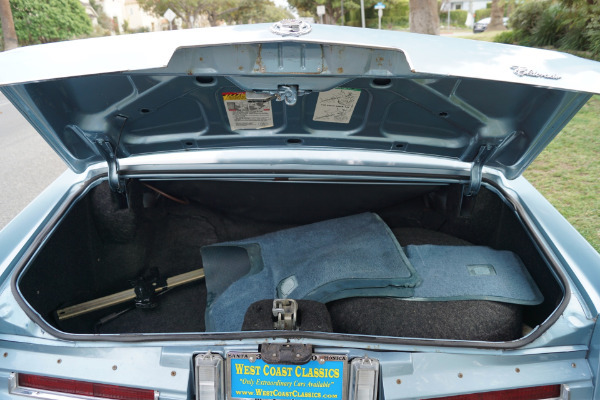 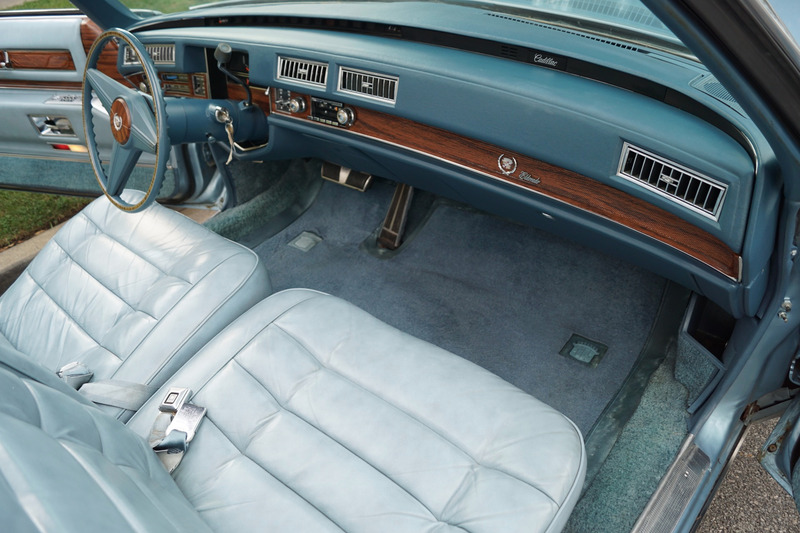 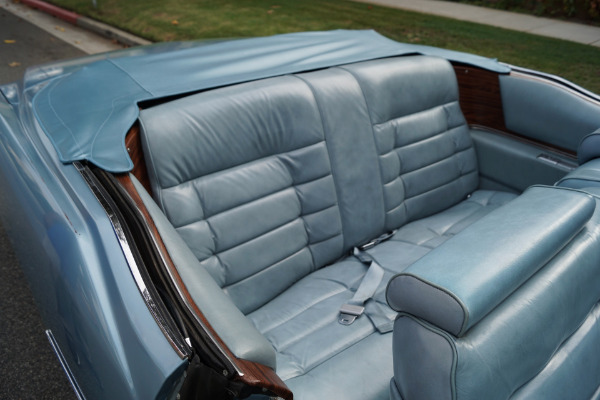 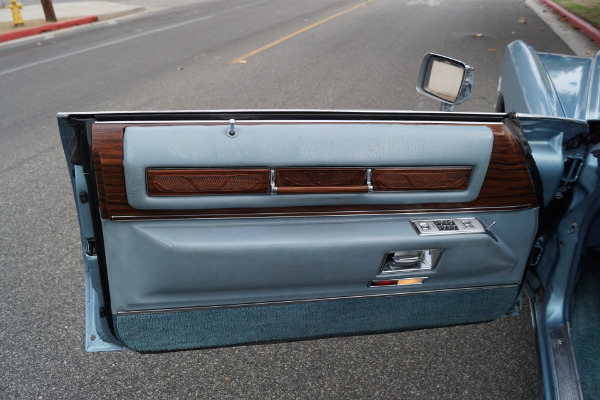 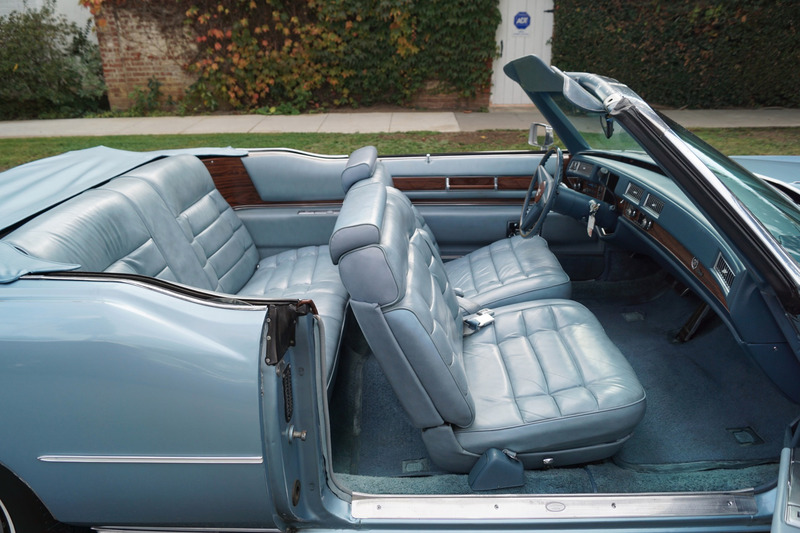 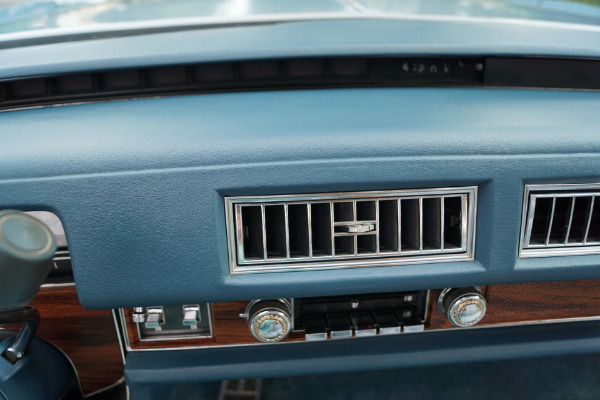 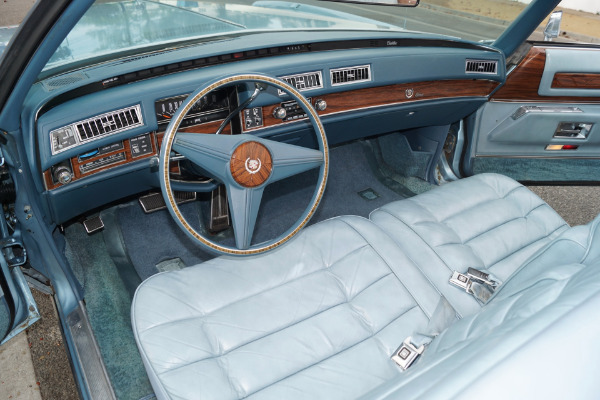 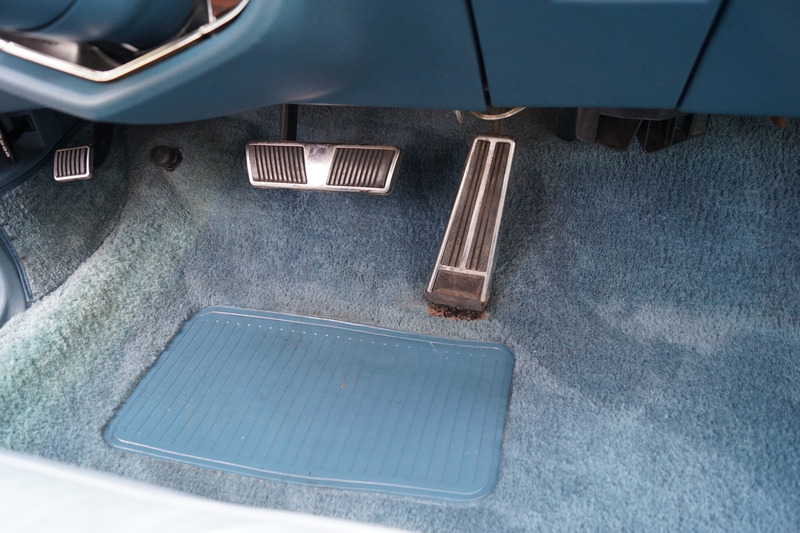 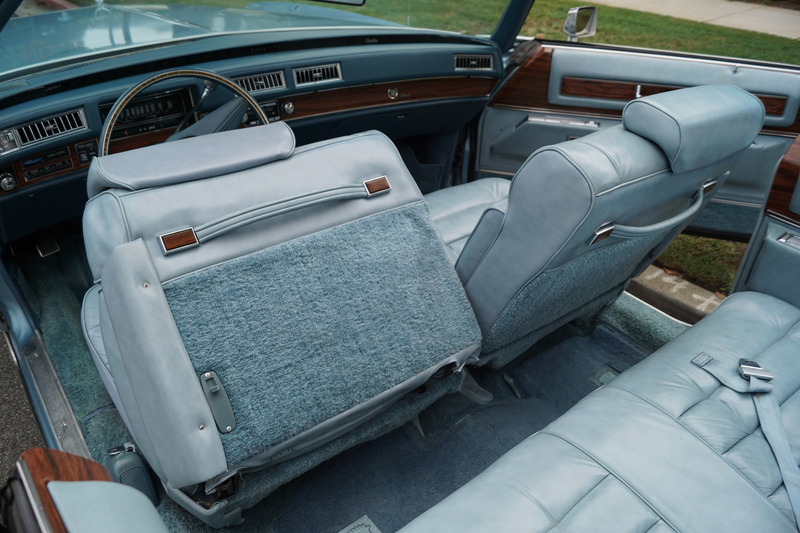 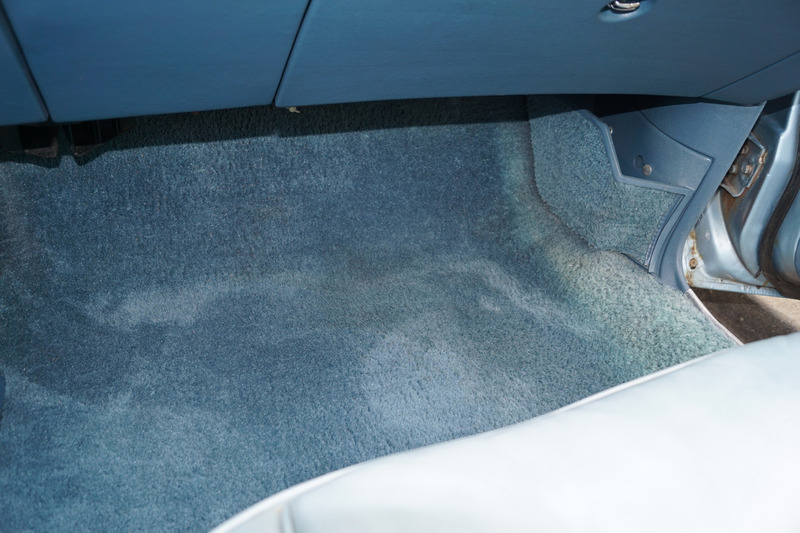 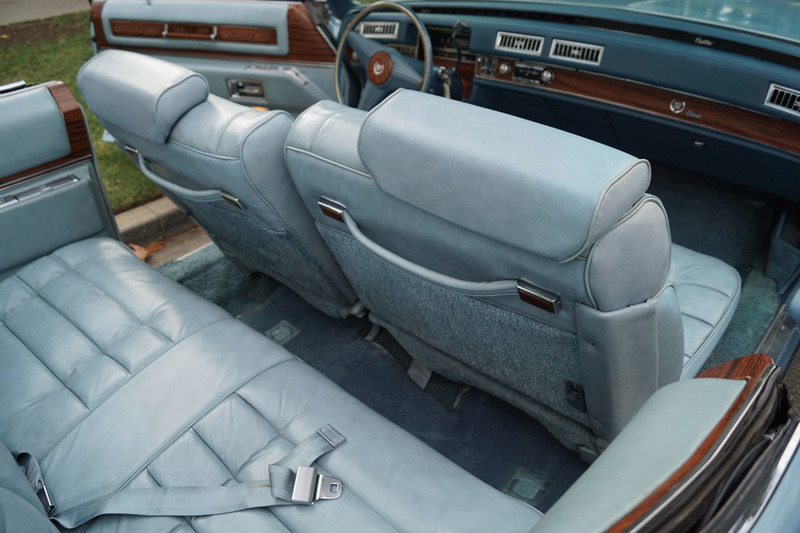 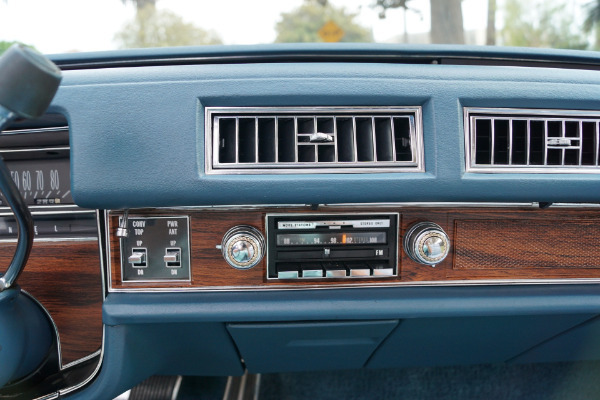 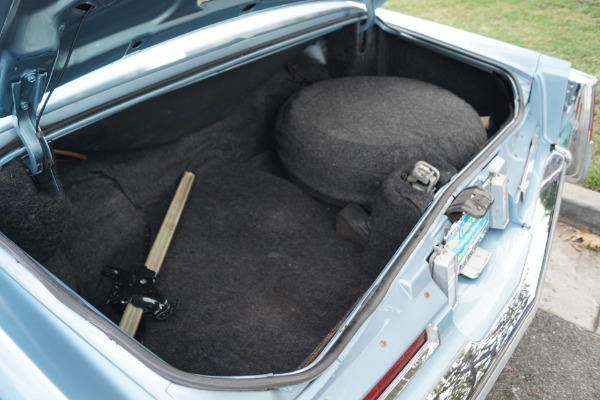 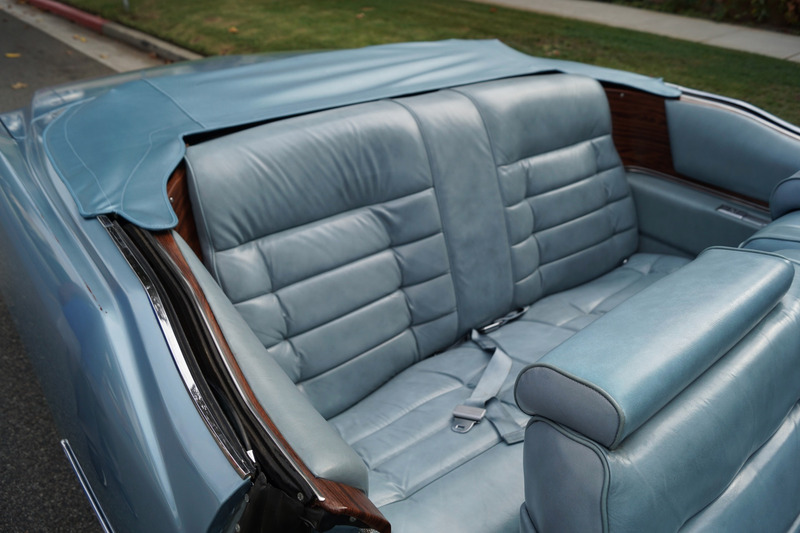 It boasts a gorgeous matching 'Antique Light Blue' color keyed leather interior with a matching dashboard and carpeting and a new matching tonneau cover and a beautiful as new condition white color soft top with a glass rear window. 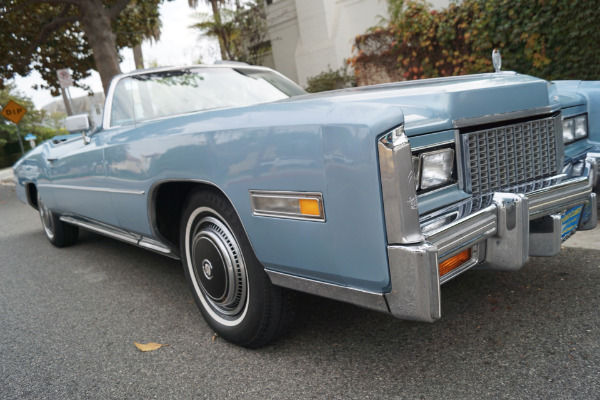 This is the last and most desirable year of this legendary classic Cadillac. 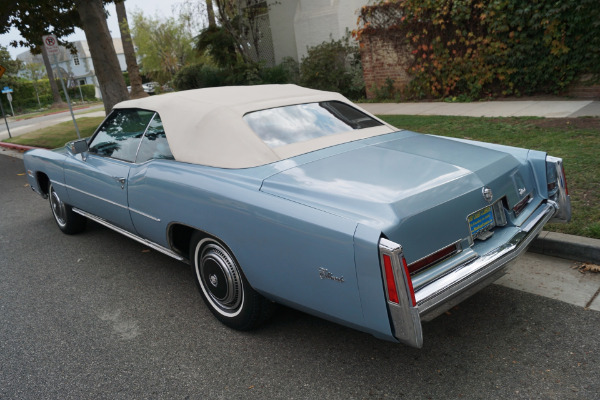 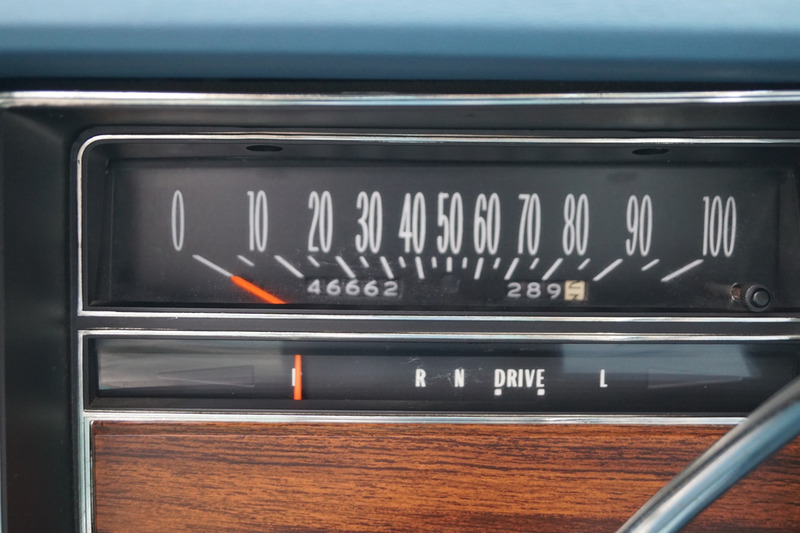 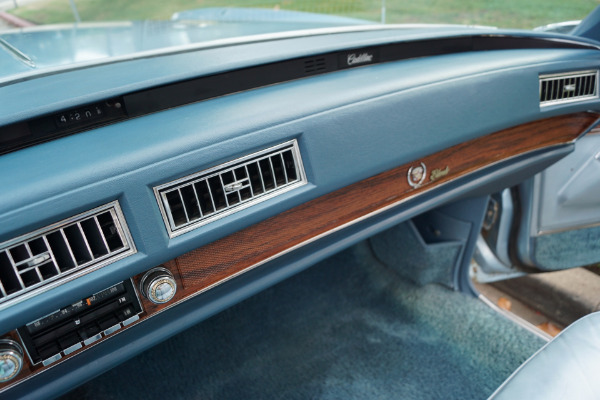 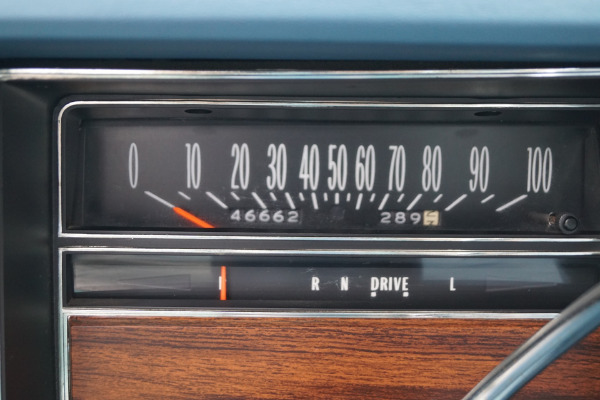 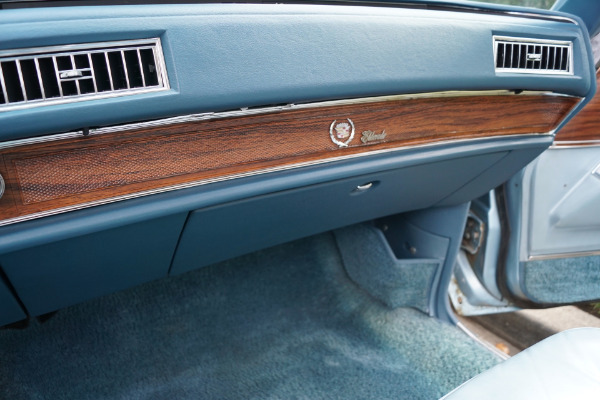 The car was sold new on 1/3/1976 at the 'Jays Oldsmobile-Cadillac' dealership of Coldwater, MI to its original owner and eventually passed to its most recent owner of Auburn, Indiana with 42,785 actual miles in the year 2000. The car looks very striking in this very lovely all Blue color combination. All the options are working as they should including all the power windows and the power soft top and the A/C. The original engine boasts only 46K original miles is extremely strong and powerful and this particular car drives absolutely magnificently and must be driven to be appreciated and seen to be believed - drives straight as an arrow with no strange road wobbles, shakes or rattles - a truly remarkable car that must drive almost exactly as when it left the showroom floor almost thirty-five years ago and which needs nothing but a new proud owner! 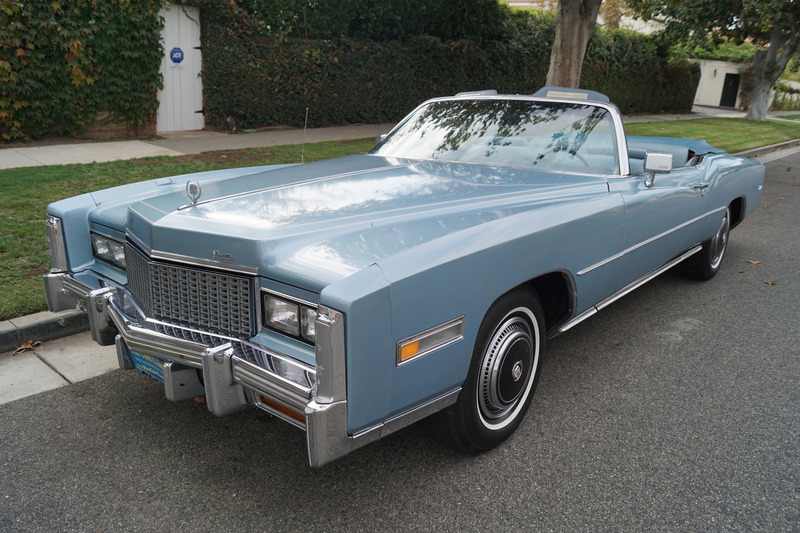 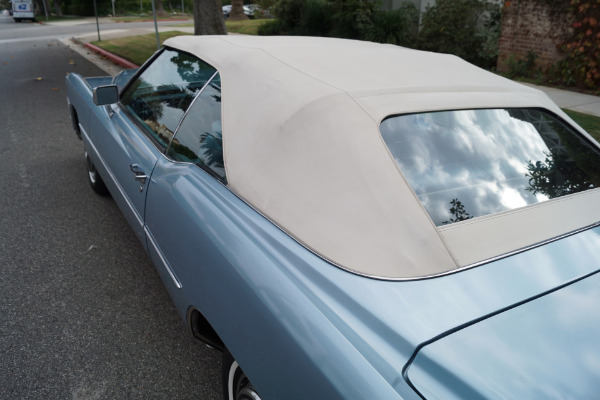 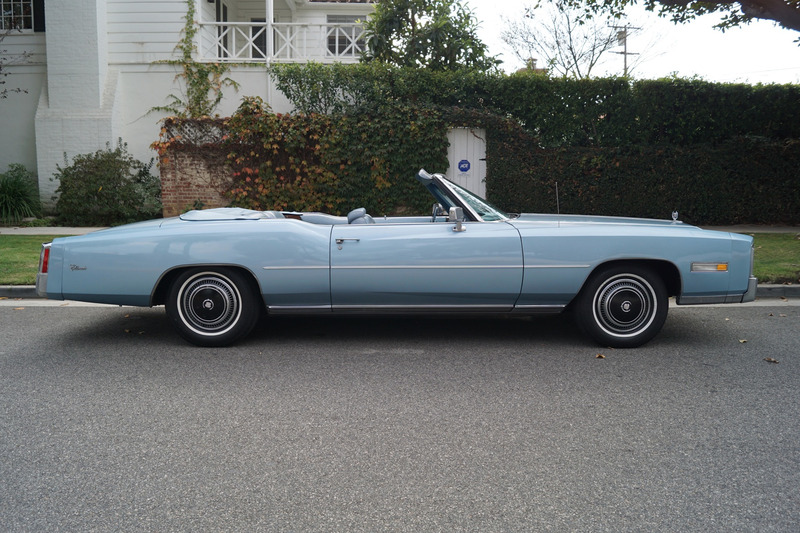 This is a rare opportunity to own a very fine and rare mostly all orginal and unabused example of an obviously always garaged 1976 Cadillac Eldorado Convertible with only 46K original miles with absolutely no evidence or history of any rust or accidents in this rare and striking all original color combination! 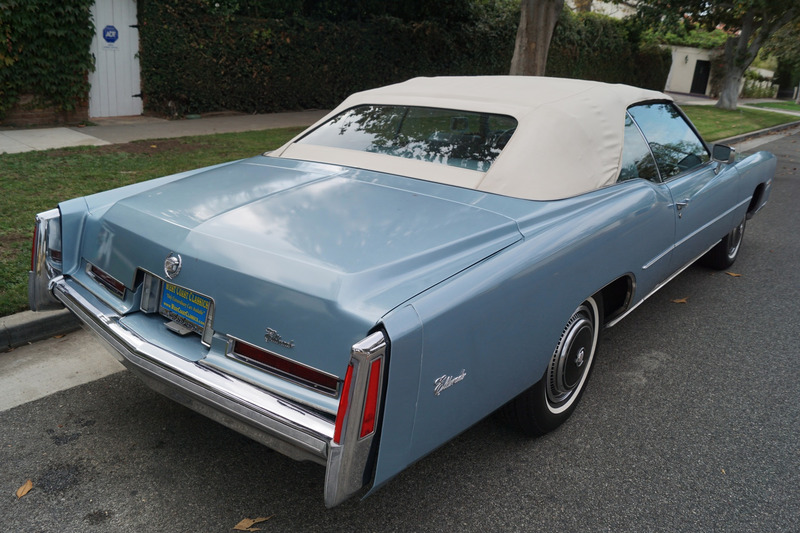 This is also the most desirable last year of production of this decades last mass produced drop-top; a great investment that's sure to appreciate over the years for any American classic car collector of obviously any Cadillac enthusiast!